By Athina Anastasaki, Web Writer. Oxygen is considered detrimental for radical polymerizations and as such traditional deoxygenation strategies (e.g. freeze pump thaw, nitrogen sparging, etc.) are typically required for the complete removal of oxygen. However, such methods may also possess drawbacks (e.g. lack of reproducibility) and as such alternative polymerization strategies that do not require external deoxygenation have been developed. 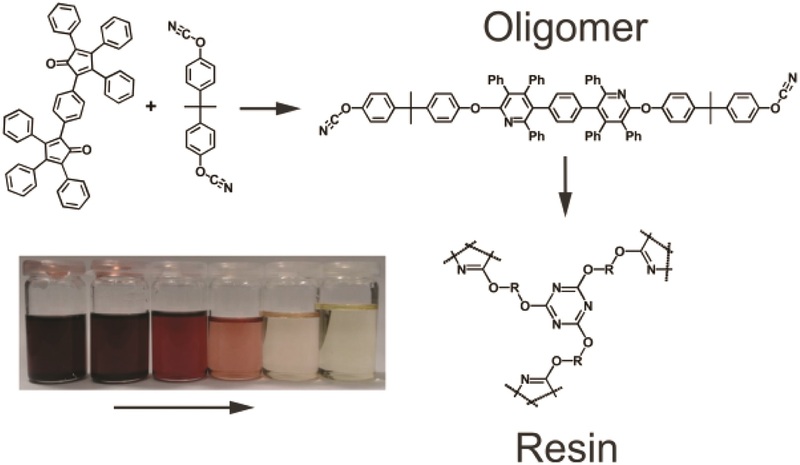 To this end, Wilson, Perrier, Tanaka and co-workers reported the ultrafast polymerization of a range of acrylamide monomers in water exploiting reversible addition-fragmentation chain-transfer (RAFT) polymerization in the presence of air. The authors used microvolume insert vials as the reaction vessels and found that good control over the molecular weight and the dispersity could be maintained at very low volumes (down to 2 μl scale). Importantly, the resulting materials were successfully chain extended multiple times by sequential monomer additions allowing the facile synthesis of pentablock copolymers with a final volume of the reaction mixture not exceeding 10 μl. Nuclear magnetic resonance and gel permeation chromatography have been used to characterize the materials which were found to reach very high monomer conversions accompanied with low molecular weight distributions. 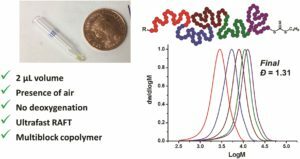 These results demonstrate that RAFT polymerization can be used as a high-throughput screening method for the preparation of complex sequence-controlled multiblock copolymers. The authors are currently looking at expanding the scope of their investigation to include the synthesis of more complex structures and investigate their applicability to biological sciences. In general, the aqueous ultrafast RAFT conditions (Polym. Chem., 2015, 6, 1502-1511) used in our work can also be scaled up (> 50 ml), however, depending on the set up, it may take longer time to permit sufficient heat transfer. The protocol is limited to acrylamidic monomer family in solvent mixture that constitutes mostly water to permit ultrafast polymerisation open to air without prior deoxygenation with quantitative monomer conversion. In addition, changing RAFT agent with a more stabilizing R group requires some modification to the protocol due to a longer induction period. Scaling down works very well in microvolume inserts, using centrifuge to spin down the reaction mixture to the bottom. Caution has to be taken when spinning inserts/vials inside a centrifuge, as leaving it spinning for too long may break the vials. For sequential chain extensions, the reactions vessels were cooled with liquid nitrogen, which was admittedly an overkill. Instead, it can also be cooled with ice-water bath. Cooling between blocks is essential at microscale for premixing the sequential monomer solution and subsequent centrifuge is advised to spin down the mixture again before reheating. For multiple reactions, a piece of cardboard was punctured and used as a platform for multiple inserts to be conveniently placed in an oil bath at the same time. The master mix containing PATBC (the RAFT agent) to target DP25, may appear somewhat cloudy with only 20% dioxane (of the total solvent volume added) especially when cooled or stored in refrigerator, however it will turn clear upon heating. 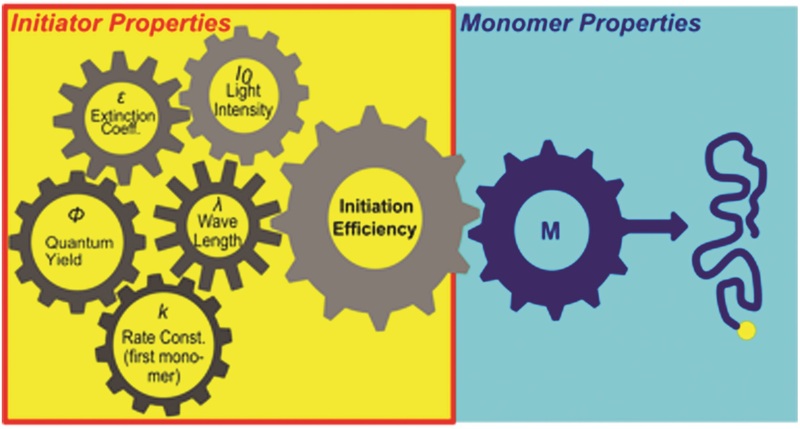 When targeting high DP (>100), although some dioxane was used in our paper, the monomer (DMA, NAM) can sufficiently solubilise the PABTC without any co-organic solvents. Dr. Athina Anastasaki is an Editorial Board Member and a Web Writer for Polymer Chemistry. Since January 2019, she joined the Materials Department of ETH Zurich as an Assistant Professor to establish her independent research group. By Laura Fisher, Deputy Editor. We would like to highlight the Outstanding Reviewers for Polymer Chemistry in 2018, as selected by the editorial team, for their significant contribution to the journal. The reviewers have been chosen based on the number, timeliness and quality of the reports completed over the last 12 months. We would also like to thank the Polymer Chemistry board and the research community for their continued support of the journal, as authors, reviewers and readers. By Garima Sharma, Development Editor. It is with great pleasure that we announce Priv.-Doz. 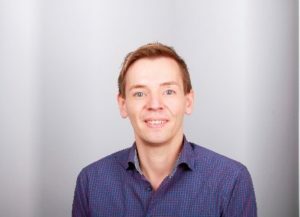 Dr. Frederik Wurm (Max Planck Institute for Polymer Research) as the recipient of the 2019 Polymer Chemistry Lectureship. This award, now in its fifth year, honours an early-career researcher who has made significant contribution to the polymer chemistry field. The recipient is selected by the Polymer Chemistry Editorial Board from a list of candidates nominated by the community. Frederik received his PhD in 2009 from the Johannes Gutenberg-Universität Mainz (Germany) working on nonlinear block copolymers. From 2009 to 2011 he was a postdoctoral Humboldt fellow at the Ecole Polytechnique Fédérale de Lausanne (EPFL, Switzerland) focusing on novel bioconjugation strategies. In 2012 he joined the Max Planck Institute for Polymer Research (Germany) as a group leader in the department of Katharina Landfester. He is also junior faculty of the Max Planck Graduate Center (MPGC). He finished his habilitation in 2016 about “Polyphosphoresters and Smart Nanocarriers”. Frederik has published over 150 research articles and received several awards such as the Georg Manecke Award and the Reimund Stadler Award of the Gesellschaft Deutscher Chemiker (GDCh), the European Young Chemist Award, and the Lecturer Award of the German Chemical Industry Fund. Frederik leads the research group “Functional Polymers” and develops new degradable and molecularly adjustable polymers. He has been particularly interested in biodegradable polyesters based on phosphoric acid in recent years. He has developed new bioinspired materials to facilitate their interaction with biomaterials, e.g. in human blood. Furthermore, such polyphosphoesters are interesting as alternatives to conventional plastics, with the ecological advantage of their degradability. Frederik will present his lecture and receive his award at the European Polymer Congress in Crete in June. We would like to thank everybody who nominated a candidate for the 2019 Polymer Chemistry Lectureship. The Editorial Board had a very difficult task in choosing a winner from the many excellent and worthy candidates. Please join us in congratulating Frederik on winning this award! Grätz et al. investigate the combination of cyanate esters with polyphenylenes through a Diels-Alder reaction. Hyperbranched polyphenylenes and cyanate esters are two unique classes of materials that possess complementary properties. On one side, polyphenylenes are good insulators with remarkable solubility owing to their dense packing and the strongly twisted structure hinder π-conjugation respectively. Cyanate esters are also well renowned for their thermal stability as thermosetting materials. To combine these properties, Voit and co-workers investigated the copolymerisation of the two monomers 3,3′-(1,4-phenylene)bis(2,4,5-triphenylcyclo-pentadienone) and 2,2-bis(4-cyanatophenyl) propane through a Diels-Alder cycloaddition where carbon monoxide is released as a side product. The polymerisation was followed by UV/Vis spectroscopy and the structure of the oligomers could be further investigated by in-depth NMR studies. Importantly, the catenation proved to be completely statistical and independent of the temperature of the polymerization while the obtained oligomers can be cured via a trimerisation reaction of the terminal OCN-groups. Finally, the polymerisation and crosslinking reaction kinetics were also studied and upon crosslinking the resins exhibit high thermal resistance and transparency as well as a high refractive index. Thus, the resulting materials simultaneously possess the strengths of polyphenylene polymers while retaining the curing potential of the cyanate esters but at only the tenth of the activation energy of pure cyanate monomers, lowering the risk factors during handling. As the authors elegantly conclude, materials with such unique characteristics may find application in integrated optics. The Diels-Alder cycloaddition with these substrates requires high temperatures. However, under these conditions the trimerisation reaction of cyanate esters also takes place. To avoid the premature crosslinking of the system while maintaining the cyanate ester termination a special protocol was developed. During the Diels-Alder reaction the ratios where adjusted to obtain a oligomer terminated with cyclopentadienone groups and only 15 minutes prior to the end of the reaction one additional equiv. of cyanate ester was added. The cyclopentadienone possesses a deep purple color while the polymer is colorless. Therefore, UV/Vis spectroscopy can be a powerful tool to track the reaction, but a simple look inside the reaction vial already gives indications on the state of the reaction. While cyclopentadienone monomers are sometimes challenging to synthesize there is a wide variety of commercial cyanate ester monomers and prepolymers allowing for a high degree of tunability of the resulting resin without changing the cyclopentadienone unit. Different to fully phenylene-based systems which are difficult to analyze by 13C NMR spectroscopy, the reaction with cyanate results in pyridine and cyanurate structures that can be well identified thus improving the structural characterization of such oligomers. Read the full paper for FREE until 1st April 2019! By Olly Hill, Editorial Assistant. GPC2019 is a two day conference that focuses on innovations in the synthesis of polymers and biopolymers, the application of gel permeation chromatography (GPC) and advanced detection for the characterization of these materials. The conference will emphasize industrial applications and novel developments of synthetic and biopolymers. This conference is comprised of invited and contributed lectures, poster sessions – including 3 poster prizes sponsored by Polymer Chemistry – discussions, and information exchange on the synthesis of polymers/biopolymers and characterization by GPC and high temperature GPC. GPC2019 is a single session conference that brings together organic/synthetic polymer chemists, analytical chemists, chemical engineers and material scientists from a variety of sectors that are involved in using and developing methods for polymer characterization that utilize GPC. It is a great networking opportunity: renew old friendships, establish new contacts, and exchange ideas with your colleagues and peers! Cao et al. report the synthesis of star thermoresponsive amphimphilic block copolymer assemblies. 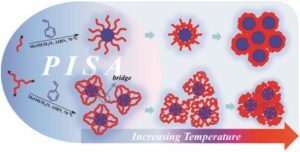 Thermoresponsive polymers can be used in a wide range of applications ranging from drug delivery to bioengineering owing to their unique capability of undergoing a soluble-to-insoluble transition in response to an external thermal stimulus. Amphiphilic block copolymers that contain a thermoresponsive block can self-assemble into core-corona nanoassemblies where the core consists of the hydrophobic block and the corona is formed by the thermoresponsive block. Zhang, Han and co-workers were interested in studying the dependence of a thermoresponsive phase transition on the topology structure. To achieve this, reversible addition-fragmentation chain transfer (RAFT) dispersion polymerization was employed to synthesize well-defined multi-arm star block copolymer nanoassemblies via polymerization-induced self-assembly. The block copolymer was designed to have the first part consisting of the thermoresponsive poly(N-isopropylacrylamide) (PNIPAM) and the second block being the hydrophobic polystyrene (PS). By carefully modifying the number of arms (n=1, 2, 3 and 4), the degree of polymerization of the hydrophobic block and the polymerization conditions, (PNIPAM-b-PS) nanoassemblies with similar degree of polymerization and chain density, albeit different topology structure, were obtained. A range of characterization techniques were subsequently employed to comparatively study the responsiveness of these materials including turbidity analysis, dynamic light scattering, variable-temperature 1H NMR and rheological analysis. The authors found that the topology of the tethered PNIPAM chains had a significant influence on their thermoresponsive phase transition which decreased upon increasing the number of arms. This can be attributed to the inter-and intra-particle chain entanglement in the synthesized star nanoassemblies. It can thus be concluded that the topology of the thermoresponsive polymers can significantly affect their thermoresponsive and should be taken into account when designing the synthesis of such materials. This paper is FREE to read and download until 27th February! 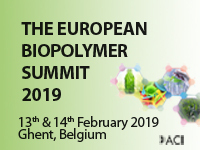 The 6th Edition of ACI’s European Biopolymer Summit will be taking place on 13th – 14th February 2019 in Ghent, Belgium. The two day event specially designed to bring together senior executives, key industry experts, researchers and bioplastic manufacturers, to exchange and share their experiences and research results on all aspects of bioenvironmental polymer engineering, most recent innovations, trends and concern as well as solutions adopted in the sector. Pomarico et al. report the synthesis of sheet-coil-helix and coil-sheet-helix triblock copolymers. Natural proteins are comprised of distinct secondary structure elements such as sheets, helices and coils. It is the combination of these diverse topologies that allow proteins to fulfil their functions. Owing to the properties of these structures, synthetic analogues of these materials are also of great interest to the polymer chemistry community. However, a covalent system where sheet, helix, and coil blocks are combined in a linear system has not been yet realized. Towards this direction, Weck, Elacqua and co-workers developed a new methodology to covalently link three distinct structures together with high fidelity without compromising the control over sequence. This was achieved by combining sequential ring-opening metathesis polymerization (ROMP) of sheet- and coil-forming monomers with palladium-mediated isocyanide polymerization of covalent coil-sheet-helix (ABC) and sheetcoil helix (BAC) domains. After polymerizing the initial sheet of coil-forming monomer through ROMP, the second monomer is introduced and subsequently polymerized yielding to a diblock comprised of sheet and coil structures. ROMP is then terminated by a special transfer agent that contains an isocyanide polymerization initiator. The telechelic diblock copolymers containing both coil-sheet and sheet-coil blocks, can serve as macroinitiators for the polymerization of a P-helix forming monomer. As such, this combination of sequential copolymerization and macroinitiation enables three different polymer chains to be linked covalently. Importantly, throughout the triblock copolymer synthesis, all individual blocks retained their secondary structures as evidenced by circular dicroism and fluorescence spectroscopies. The authors are confident that this work can be extended to the formation of a diverse array of tri- and multiblock copolymers enabling a range of new applications. 1. When synthesizing a topologically-diverse block copolymer, oftentimes it is necessary to use different polymerization techniques. If so, prudent selection and design of polymer backbone is key. First, select the class(es) of monomers you intend to employ. This will inform the type of polymerization method required, and subsequently, the initiator to be designed. 3. Performing 31P NMR spectroscopy after each step of block copolymer synthesis, especially before the final step to create the helical block, is crucial. It ensures that only one palladium species is present throughout. 4. Isocyanide polymerization mediated by palladium(II) is a robust technique; there is high functional group tolerance when synthesizing the initiator, which allows for the engineering of multipurpose catalysts like the one featured in this manuscript. 5. Topologically-diverse polymer backbones, such as sheets, helices, and coils, garner much interest from a biomimetic standpoint in the synthetic community. Judicious choice of polymer backbones, as well as block lengths, can inform characterization techniques, such as circular dichroism, fluorescence, and X-ray scattering to gain insights into topology. 6. We are available for any questions and to troubleshoot any issues you may have – please contact mw125@nyu.edu or eze31@psu.edu. Dr. Athina Anastasaki is a Web Writer for Polymer Chemistry. She is currently an Assistant Professor at ETH Materials Department. Eibel et al. report a tool that can predict the initiator efficiency in free radical photopolymerizations. A major requirement to synthesize polymeric materials via photopolymerizations is the efficiency of the photoinitiator. This is because the amount of initiated polymer chain is crucial for the outcome of the radical polymerization. Many factors have been reported to influence this efficiency including the UV-Vis absorption properties, the irradiation wavelengths, the dissociation quantum yields and the reactivity of primary radicals towards monomers. To enable “on demand” access to a wide range of photoinitiators performance, Gescheidt and co-workers developed a tool for predicting the initiator efficiency of various type 1 (α-cleavage) photoinitiators. To achieve this, a systematic analysis of the photoinitiator performance revealed the interplay of absorption properties, dissociation quantum yields, light intensities, irradiation wavelengths and kinetics. It is important to note that important side reactions such as oxygen quenching have also been taken into account. The author’s simulations demonstrate that under ideal conditions any photoinitiator will function in an almost perfect way. However, the oxygen quenching mechanism combined with the subtleness of the photo-physical properties of the photoinitiator differentiates a well-suited photoinitiator from a less useful one. The authors conclude that a balanced combination of the intrinsic photoinitiator characteristics (i.e. absorption spectrum of initiator, quantum yields of dissociation, rate constants for primary radicals towards monomers), the major side reactions such as oxygen quenching, and the emission properties of the utilized light source (i.e. irradiation wavelengths, light intensity) is crucial to achieve the optimal initiation performance. As the authors nicely note in their conclusion, such a tool is not only useful for experienced researchers but it can also serve as an educational guide. The corresponding kinetic scheme is freely available on the author’s website and can be adjusted by any user. 1. A single property is not sufficient to reasonably classify a photoinitiator. A subtly interplay between absorbance, quantum yield, kinetics and the character of the light source is what matters. 2. The choice of a suitable photoinitiator strongly depends on the desired application (e.g. bulk polymerization or coatings). Here, the number of initiating radicals directs the efficiency of the polymerization and its robustness vs. oxygen inhibition. 3. The optical density of the formulation combined with the wavelength of irradiation control the thickness of the cured layer. It is crucial to be aware of the exact properties of the used light source (emission bands, intensity), since this drastically influences the amount of generated radicals and the initiation rate. 4. The Simulations rely on experimental parameters, which are straightforwardly determined (e.g. rate constants (Polym. Chem., 2018, 9, 38–47) and quantum yields (Photochem. Photobiol. Sci., 2018, 17, 660–669)) and provide an overall picture of a complex process such as the initiation of a photo-induced polymerization. 5. We are happy to answer any questions or remarks concerning our initiation model – please contact g.gescheidt-demner@tugraz.at. Dr. Athina Anastasaki is a Web Writer for Polymer Chemistry. She is currently a Global Marie Curie Fellow working alongside Professor Craig Hawker at the University of California, Santa Barbara (UCSB). In January 2019, she will join the ETH Materials Department as an Assistant Professor to establish her independent group.